Somehow last fall, I adopted a lot of poor eating habits. Lots of grazing and eating random things at random times. So when January 1st arrived, I set out to make some changes and the biggest one being my lunch. I've been making this chicken salad and it's delicious - and this is coming from someone who wasn't sure she really liked chicken salad! I like it open-faced on a piece of bread (even better if it's homemade), but I've also eaten it with Ritz crackers or even just in a bowl by itself. One batch lasts me almost the entire week. Naomi's blog is all about slow living, creativity and snail mail. I subscribe to her newsletter and honestly, it's one of the best ones I've read. 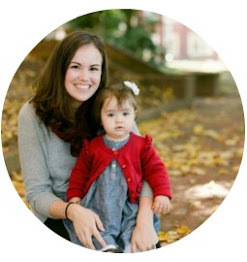 Her monthly e-mails include free envelope templates that she draws and designs (so gorgeous!) as well as helpful tips and fun links. If one of your goals is to send more personal mail in 2018, this is well worth your time! What does it say about me that I wanted this for Christmas? (#oldlady) We have hardwood flooring throughout the first floor of the house and this dustbuster makes it so easy to clean up crumbs or dust bunnies. No need to sweep or drag out the big vacuum! Bonus: the kids actually fight to use it. I've been intrigued by this concept for a few years now, but decided 2018 was the year to take the leap! It will be the first full year in our new house, so lots of new memories to record. We're also in a sweet spot of parenting - at the end of five years, my oldest will be 16 and that just seems impossible! I know I will appreciate the little ordinary moments recorded when I'm old and gray. My parents got this fleece pullover for me for Christmas and I have lived in it all month! So warm without being bulky. I also like that it's enough to wear underneath my puffer vest (I have something similar to this in black) for quick trips out. My pullover is in Pewter because I'm boring, but Royal Plum is pretty too. 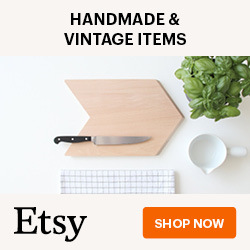 The giveaway items I've chosen are a mix of some of my favorite things: etsy finds, vintage pieces and little bits picked up from various stores. All have been purchased by me and nothing has been sponsored. This incentive is to thank you for visiting here and linking up your posts. It's my small way of showing you that your words are being heard! I read every single entry and try to comment on or share a few (I wish I could do this for every one - not enough hours in the day!) Here's how it works: every time you link up a blog or Instagram post, you get an entry. The linkup will be open until Sunday, February 4th and I'll randomly pick a winner on February 5. 1. Write a blog post sharing about five of your favorite things. You could also share a photo on Instagram too! 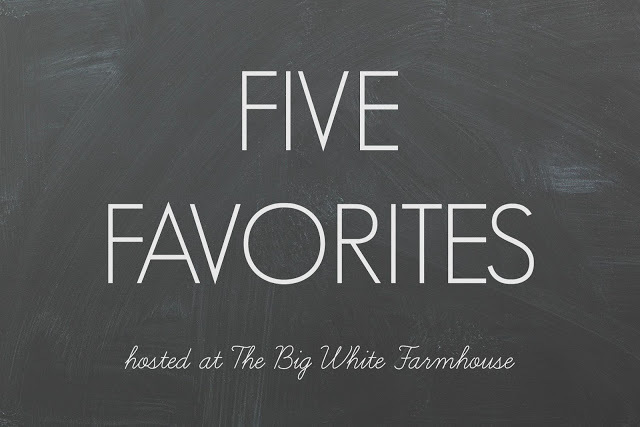 (hashtag is #bwffivefavorites) It can have a theme (ie: five of your favorite slow cooker recipes) or just a mishmash like I usually do. 2. Please link back to this post so your readers know where to find the Five Favorites hub (posts not mentioning "Five Favorites" or not linking back to this post will be subject to removal). 3. Not mandatory, but feel free to visit some of the other posts in the link-up! Sharing and/or leaving a comment is even better. 4. Make sure to add a link to your specific post or Instagram picture, not just your blog address. I just made chicken salad for the first time in forever this weekend and Logan and I realized we need to do that more often! Perfect for sandwiches or even a snack. SO excited about your prize pack again! YES! So good and I love that I don't have to think about lunch for most of the week. One less thing in my brain! Yesssss.....total game changer here too! LOVE your faves, Ashley! And how generous of you to offer such a amazing giveaway! Thank you so much for linking up, Chris! I love chicken salad with very passionate love, especially when it has grapes and pecans! My husband just asked me last week if I needed a handheld, chargeable vacuum as he glanced at the stairway. I am going to type up my five favorites post tomorrow. Time has not been my friend lately! YES...the grapes and pecans kick it up a notch, right?! Last week, we were out of grapes so I added a diced crispy apple and it was pretty good too. Can't wait to read your post! I'm so happy to see you are doing the monthly Five Favorites. I was missing it! A also love the line a day journal. I have the same one...although I forget too many times to write my line! Thanks for taking the time to leave your thoughts. I almost always respond to you here in the comment thread, so be sure to check back! THE BIG WHITE FARMHOUSE IS A FOR-PROFIT BLOG AND POSTS MAY CONTAIN AFFILIATE LINKS. ALL CONTENT ON THIS BLOG BELONGS TO ME. PLEASE DO NOT USE MY POSTS OR PHOTOGRAPHS WITHOUT WRITTEN PERMISSION. © THE BIG WHITE FARMHOUSE 2011-2019. The Big White Farmhouse is a participant in the Amazon Services LLC Associates Program, an affiliate advertising program designed to provide a means for sites to earn advertising fees by advertising and linking to Amazon.com.